The world powers are discussing possible new sanctions against Iran for its nuclear defiance. Meanwhile, the first public encounter between an American and Iranian envoy since 2004 is to take place Saturday. Possible new sanctions against Iran include a travel ban, an arms embargo and trade restrictions. The Islamic nation which insists its nuclear program is for peaceful purposes is refusing to halt its uranium enrichment – a pre-condition for talks set by the UN Security Council. The U.S. and some European countries are concerned that Tehran’s real aim is to produce an atomic weapon. The U.S., Britain and France favour tough new sanctions, but Russia and China, who have closer ties to Iran, are negotiating for a more diplomatic approach. Meantime, Saturday will see the first public encounter between an American and Iranian envoy since late 2004. Delegations from both countries will attend the International Conference on Iraq in Baghdad. 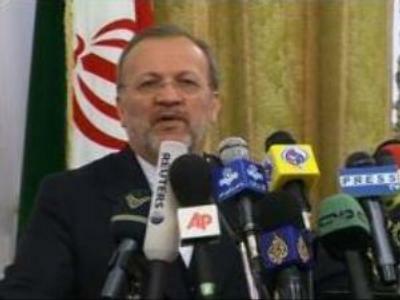 The Iranian Foreign Minister, Manuchehr Mottaki, says he hopes that Tehran's attendance will send a clear message, that the countries of the region are standing alongside Iraq. He also stated that his country has 'some concerns' about the conference but did not want them to impede its involvement. The U.S. ambassador to Iraq, Zalmay Khalilzad, who will represent the U.S. at the talks, said there were no plans for a face-to-face meeting between representatives of the two countries.